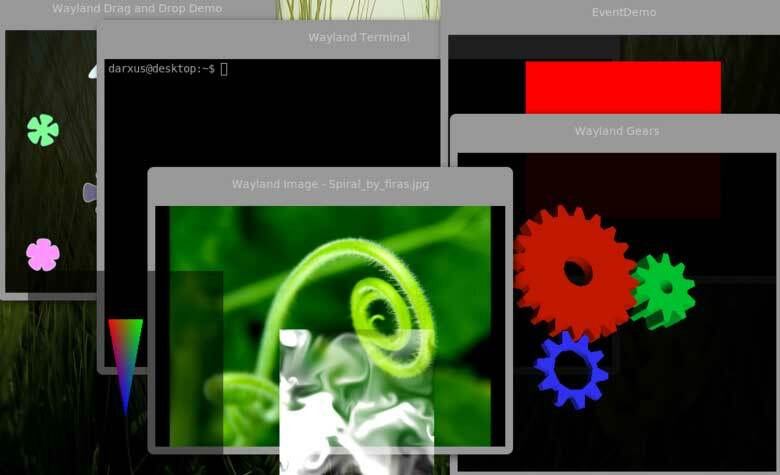 Carsten Haitzler, Rasterman, founder and leader of the project Enlightenment, announced the decision to use Wayland as a future display subsystem components for desktop environment Enlightenment. In this case, stated that the Enlightenment developers are currently no plans for supporting the display server Mir, as this project has not yet gone beyond the concept of the prototype and its viability is difficult to assess. Some time ago the Enlightenment project has already begun work on adaptation for Wayland and intends to continue it. Support for high-grade work surface Wayland display server for over a year there in libraries EFL (Enlightenment Foundation Library), the components of which are the basis of the project Enlightenment. Wayland has over can work using EFL client applications based both on Widget Ready Elementary, and the low-level API Ecore-Evas. When Running Wayland supported drawing with sharing Shared-memory buffers and using OpenGL ES2, input mechanisms used Wayland, supported by resizing and moving windows, window decorations done on the client side. Work on creation of Enlightenment full composite based server Wayland. In their plans to support Wayland Enlightenment project was in agreement with the developers of GTK + / GNOME and Qt / KDE, which also hear Wayland as a future replacement of X11. Enlightenment developers believe that success can be achieved only by working together on the development community standards, such as Wayland, which gives each of the desktop environments, the possibility of implementing an individual approach through the development of its own composite servers supporting single protocol Wayland. Currently, developers Enlightenment can not see any technical problems in Wayland and things Mir project should be changed. Moreover, there are no fundamental technical and functional differences between Mir and Wayland. Therefore, the Enlightenment project does not intend to support additional rendering engines and display system developed by the project Mir. Such support would be an additional burden for the project, so the Enlightenment is not interested in supporting Mir, even if this work took someone from the outside. Additionally, you can mark a note on progress to optimize and reduce memory consumption in libraries EFL. With the participation of engineers from Samsung and Intel in the development of EFL 1.8 branch has been added to implement a new object model Eo for unification of all the objects EFL, The asynchronous rendering and a new component Ephysics. The above changes increased the memory consumption when running benchmark suite from 5.4 to 8 MB. After optimization, managed to reduce the memory consumption of up to 5.6 MB, which corresponds approximately to the state prior to the change.